Perfect for fall or anytime! 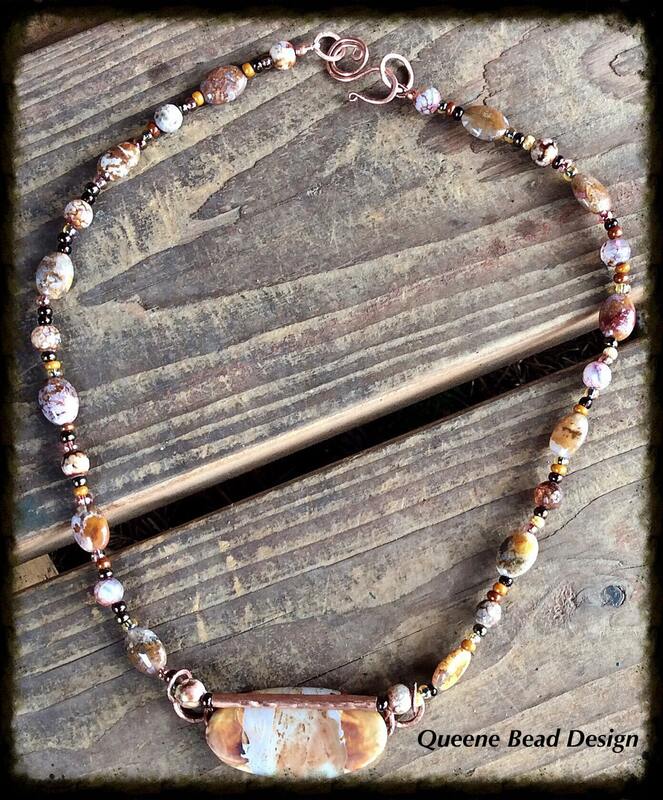 Three (3) different types of agate make up this necklace. You could wear this set with anything and in any season. The necklace and earrings would pair with a t-shirt or a blouse or a sweater. And you can wear the earrings everyday. This set really brings all four styling elements together for color, texture, pattern and shine! 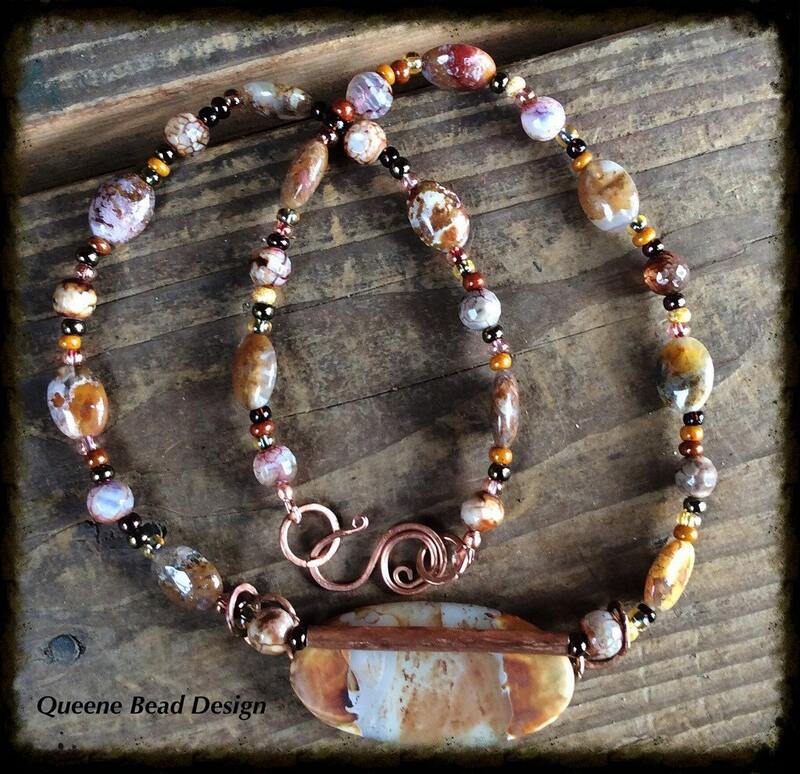 I used Tibetan Agate dZi, round faceted fire agate and oval brown agate for this and used a lovely little mixed bag of dead beads for accent. The pendant, is a thing of beauty! That is the Tibetan Agate dZi. I used copper wire to make a horizontal bail, added handmade soldered jump rings and then a hand textured copper tube. And strung on the highest quality beading wire and finished with copper wire guards, crimp covers and a handmade copper clasp. The necklace is 21 1/2" long. The earrings are a lovely style extension of the necklace. I used copper wire, in the same pattern as the pendant. Only this time, vertically. 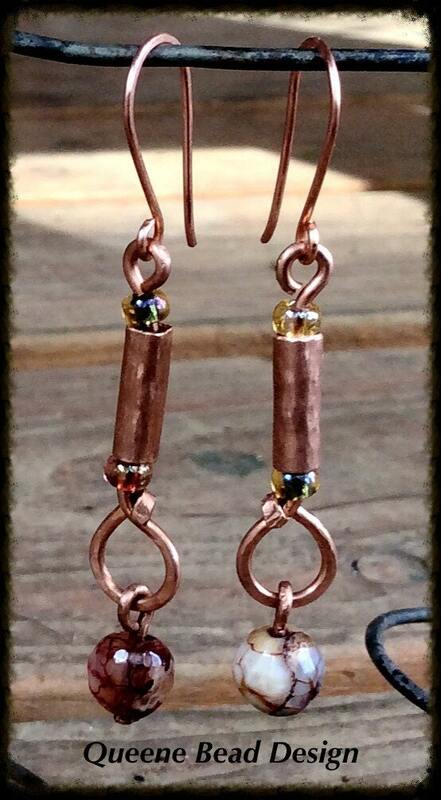 I cut and textured the copper tube and used the same seed beads. Dangling on a handmade headpin, is one of the faceted fire agates. All the copper used in this design is hand forged and textured by myself. My designs are built to last and be a long lasting addition to your wardrobe.